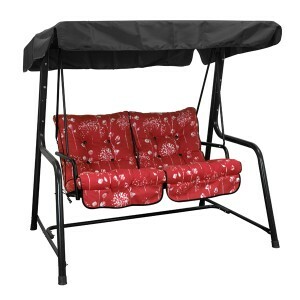 Metal garden furniture remains popular throughout the ages thanks to its durability and elegant designs. 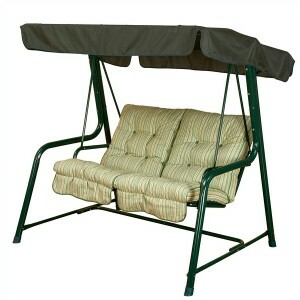 Aluminium furniture is also very low maintenance and simply requires a wash down when dirty. 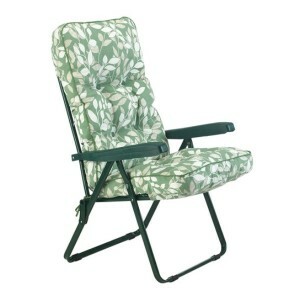 Our metal garden furniture comes with a range of different coloured finishes, including bronze, white and green, or for a more contemporary look, a mix of aluminium and wood. 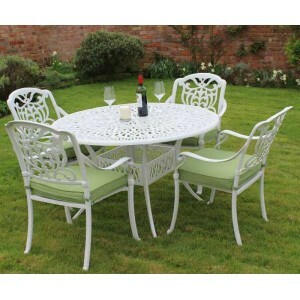 If you are looking for metal garden furniture that is ideal for socialising, we have large six seat sets which are great for entertaining groups whilst our unique designs, such as our high stool patio set, give a sophisticated air to your evening. 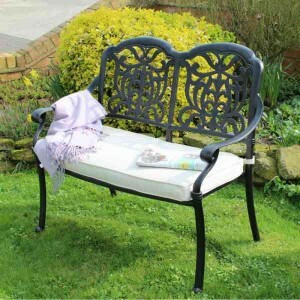 Our bistro sets are perfect for quiet evenings in the garden for two or our wrought iron benches add character to cottage gardens. 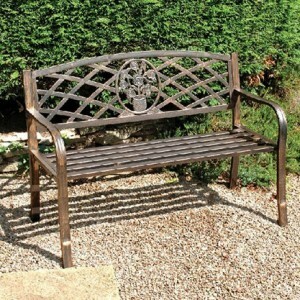 The Cast Aluminium Tudor Patio Set from Brackenstyle features a traditional patterned table and matc.. 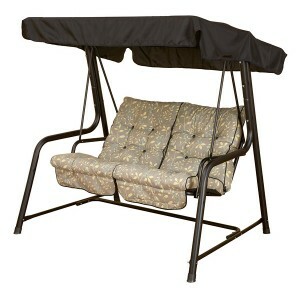 The 3 Piece Black Bistro Patio Garden Set from Kingfisher is both stylish and comfortable thanks to .. 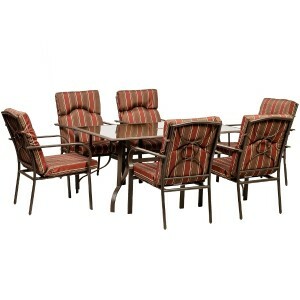 The 3 Piece Mosaic Bistro Patio Garden Set from Kingfisher is both practical and stylish with its al.. 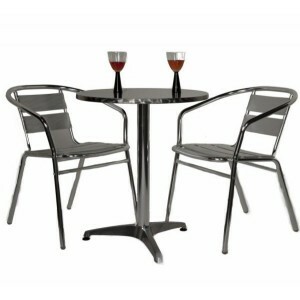 This delightful Aluminium Bistro Set is an ideal choice for smaller patios or for use on a balcon.. 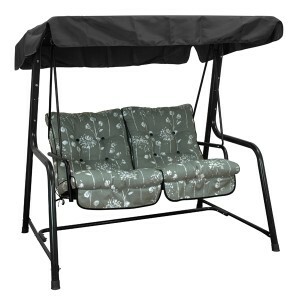 The Amalfi 6 seater rectangular set from Royal craft consists of 152 x 96cm rectangular table with t.. 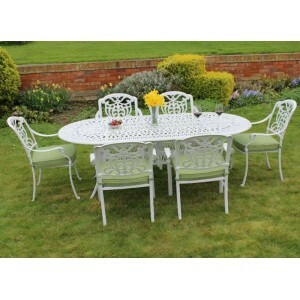 The Cast Aluminium Tudor Oval Dining Set from Brackenstyle is made using all weather, powder coated .. 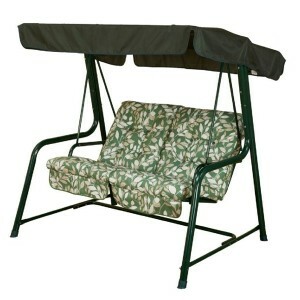 The Cotswold Leaf Luxury Sunbed from Glendale is made from top quality materials providing you with .. 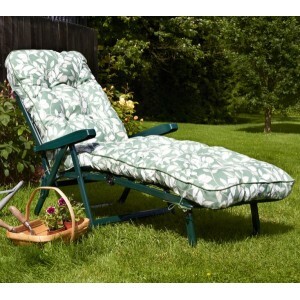 The Cotswold Leaf Garden Sun Lounger from Glendale combines a luxuriously thick cushion and a heavy .. 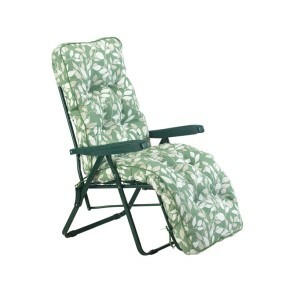 The Cotswold Leaf Recliner from Glendale is a comfort designed garden recliner featuring a thick cus.. The Cotswold Leaf Relaxer from Glendale is a great quality garden relaxer that doesn't break the ban.. 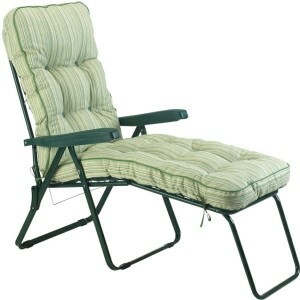 The Cotswold Stripe Luxury Sunbed from Glendale is made from top quality materials providing you wit.. 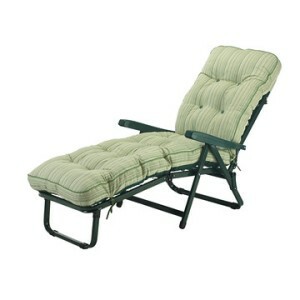 The Cotswold Stripe Garden Sun Lounger from Glendale combines a luxuriously thick cushion and a heav.. The Cotswold Stripe Recliner from Glendale is a comfort designed garden recliner featuring a thick c.. 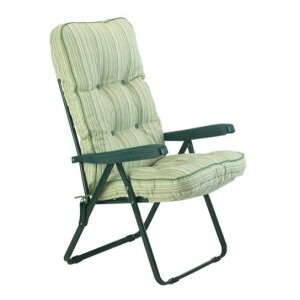 The Cotswold Stripe Relaxer from Glendale is a great quality garden relaxer that doesn't break the b.. 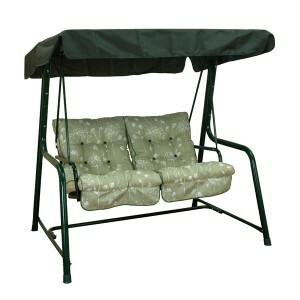 The Country Green Luxury Sunbed from Glendale is made from top quality materials providing you with ..